If you have an invention or an innovative product idea, and you feel that it is potentially worth taking to market, you probably want to protect your idea by getting a patent. It may sound simple and easy, but, sadly, it is not. 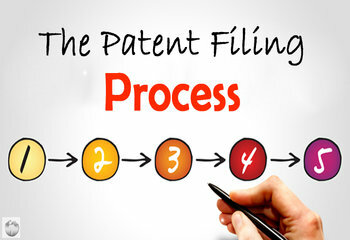 Filing a patent application is a complex legal process that takes a lot of time and money. It is important to understand the various steps involved. This becomes even more important if you are seeking global patent protection. to take up to two years of going back and forth with the patent examiner before your application for a patent is approved or denied! So before you start the process, take a few moments to decide whether you want to do this on your own or whether you want to work with a patent attorney or a patent services company. If you were to seek the advice of an expert or even the US Patents and Trademarks Office, you will most likely be advised to get help with your patent filing. Realize that patent applications are complex legal documents with a long set of requirements and it is usually best to work with a qualified company so you can obtain the strongest patent protection available for your invention idea. At Patent Services USA, our goal is to make the patent filing process efficient and streamlined. When you work with us, you'll be assigned to one of our consultants who will work with you and will be available to you to answer questions and help you along the entire process - from patent searching to filing, to prosecution and finally to licensing, marketing and maintaining your patent. Call us on 888-344-6836 or get started with a free product assessment! Like us on Facebook where we share articles and infographics from our learning center and our invention help website!